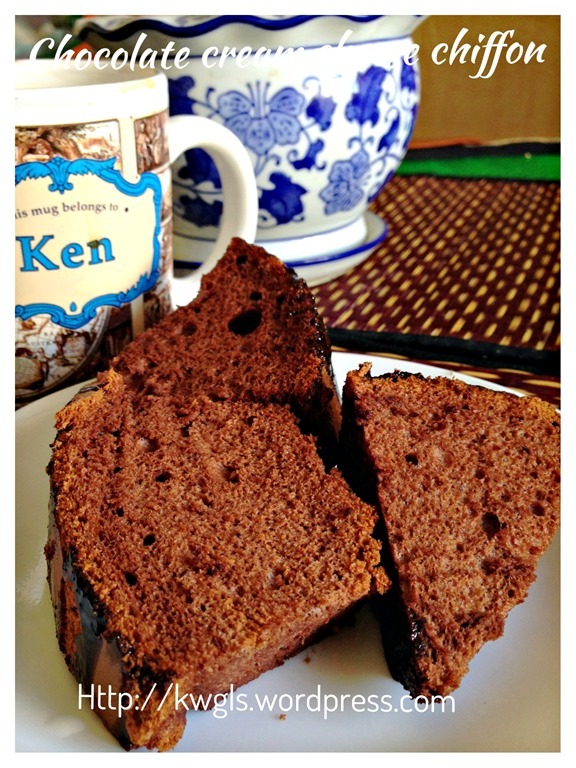 Hmmm, I baked a cream cheese chocolate chiffon cake. It was a successful bake. However, when I unmould , I broke the cake。Then I thought I might used up my leftover mirror glaze chocolate frosting to cover my “fault”. Somehow, being in a frustrated mood, I poured the chocolate frosting to the cake when it is too hot (in order for the chocolate frosting to stay in the cake, it should be at about our body temperature)…making the cake too wet. When I cut, the cake became less spongy, a bit soggy and messy.. It is definitely a wrong decision! However, I managed to salvage 2 pieces for picture taking and frankly speaking, the picture did not do justice to the cake. When I posted my pictures to the Facebook Food group, apparently, members of the Group can take this imperfections and asked for recipe. That is the reason that make me issued this post. 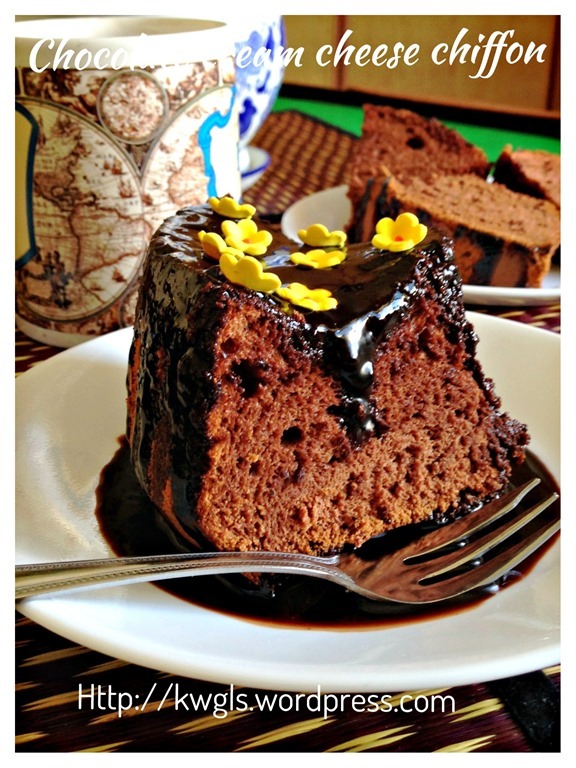 Trust me, there is nothing wrong with the recipe and steps of illustration, it is my negligence on the handling of the cake. 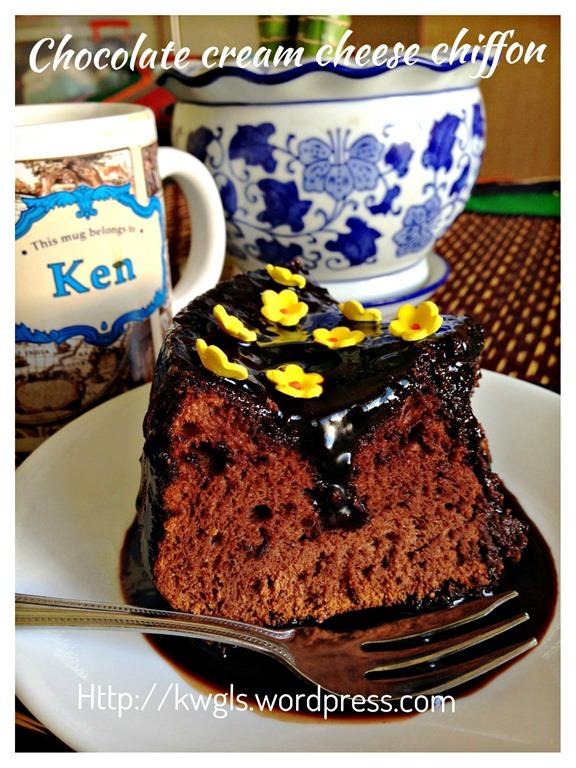 Following the recipe closely will definitely yield you a nice chocolaty cream cheese chiffon cake. 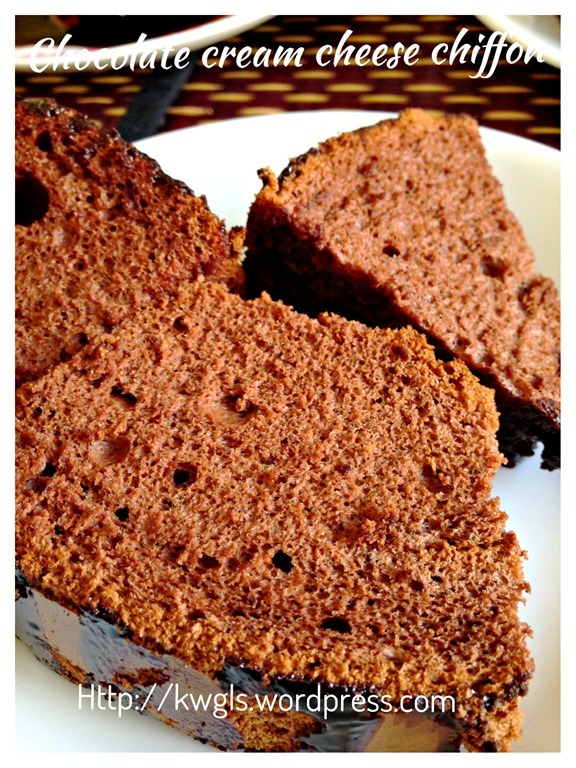 The cake is moister than most chiffon due to the heavier cream cheese used. I found that it is especially nice after keeping it in the fridge for a few hours. In fact, it is very much like the Japanese cheese cake. 80 grams of fresh milk. Get ready a 19cm chiffon tube pan. PLEASE DO NOT GREASE THE CHIFFON TUBE PAN. Pre heat the oven to 175 degree Celsius. Melt the butter, cream cheese and milk in a microwaveable bowl for about 1 minutes. Stir until well mixed and set aside. If you do not have a microwave oven, just heat up using double boiler method (oven a pot of hot water) until melted and well mixed. 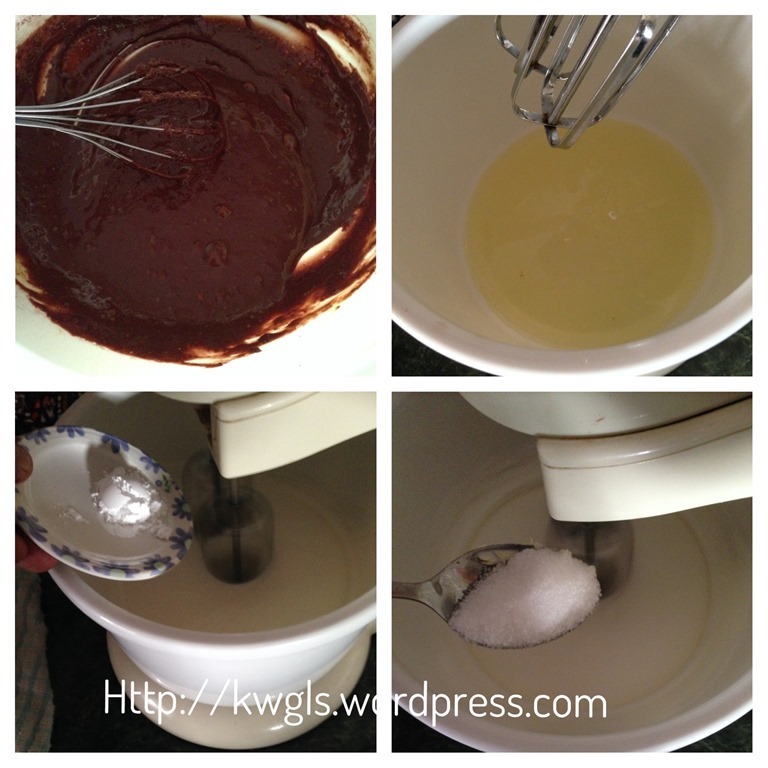 Sift in the chocolate and self raising flour, stir until well combine. 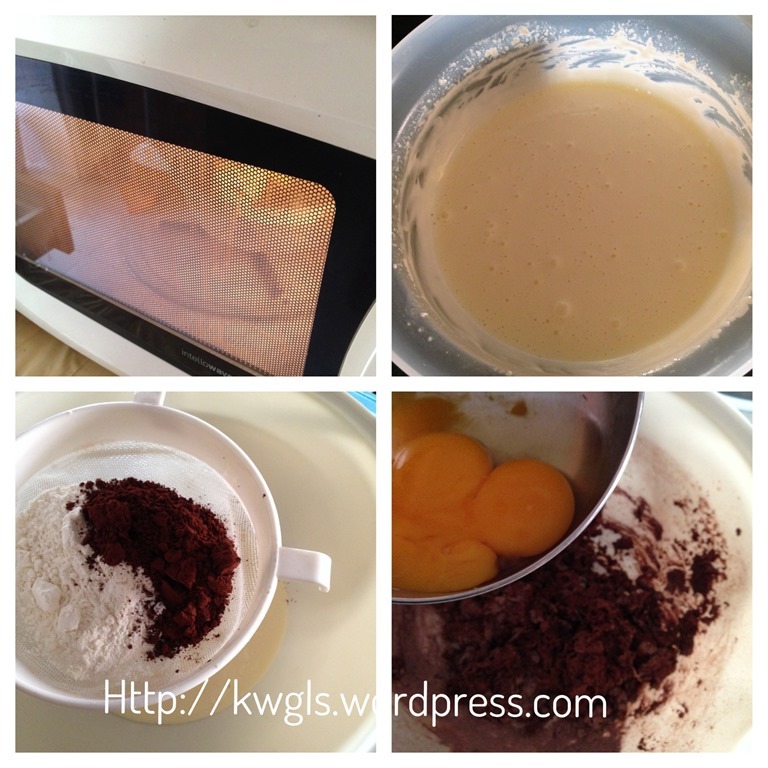 Gradually add in the egg yolks one by one. Stir until well mixed and set aside for later use. 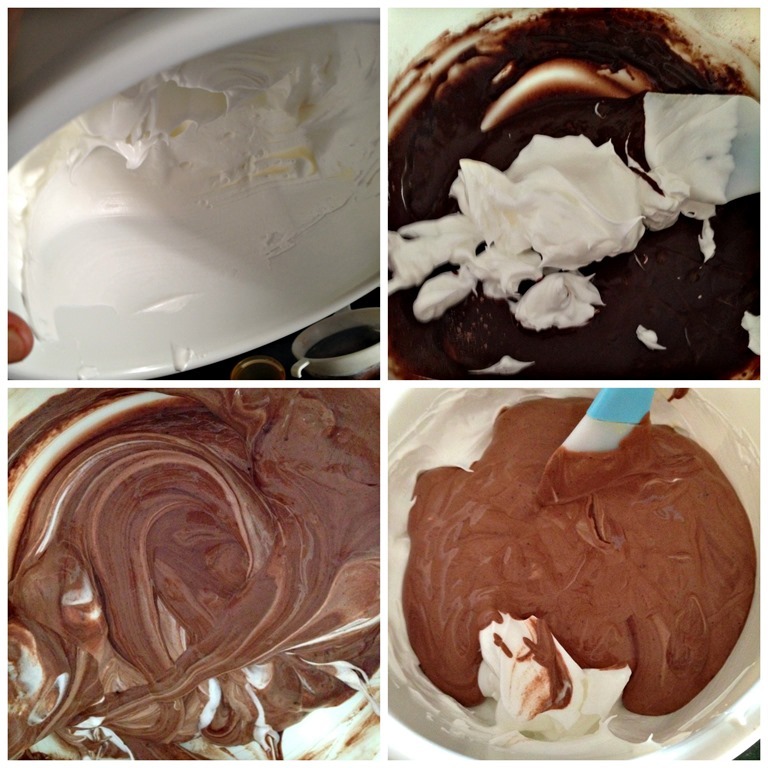 Beat the egg whites in a standing mixer until foamy. Add in 85 grams of castor sugar and 1 teaspoon of cream of tartar. Beat the egg whites until stiff peak form. 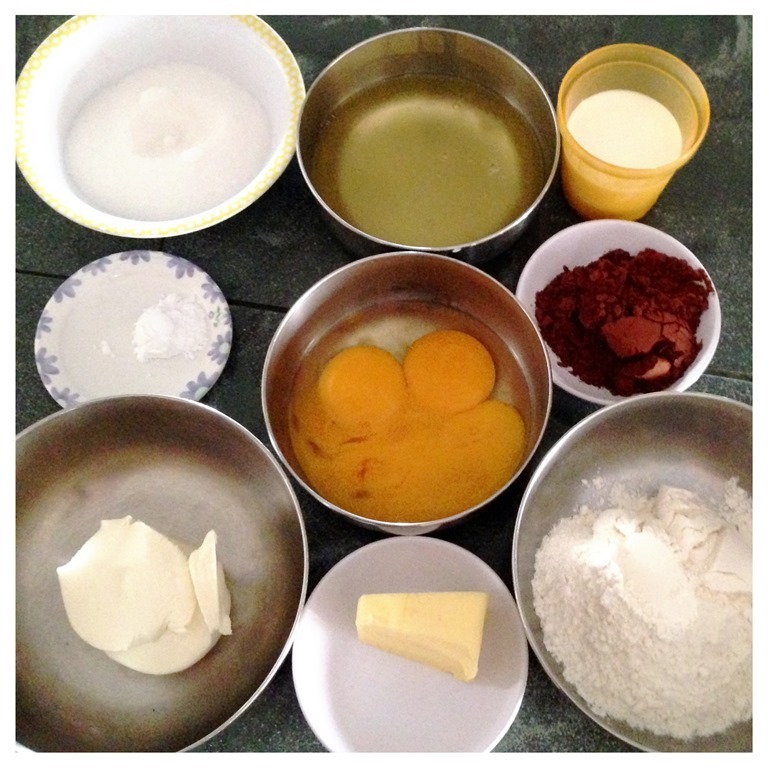 Fold in the egg whites in 3 stages to the egg yolk mixture as swiftly and as lightly as possible. 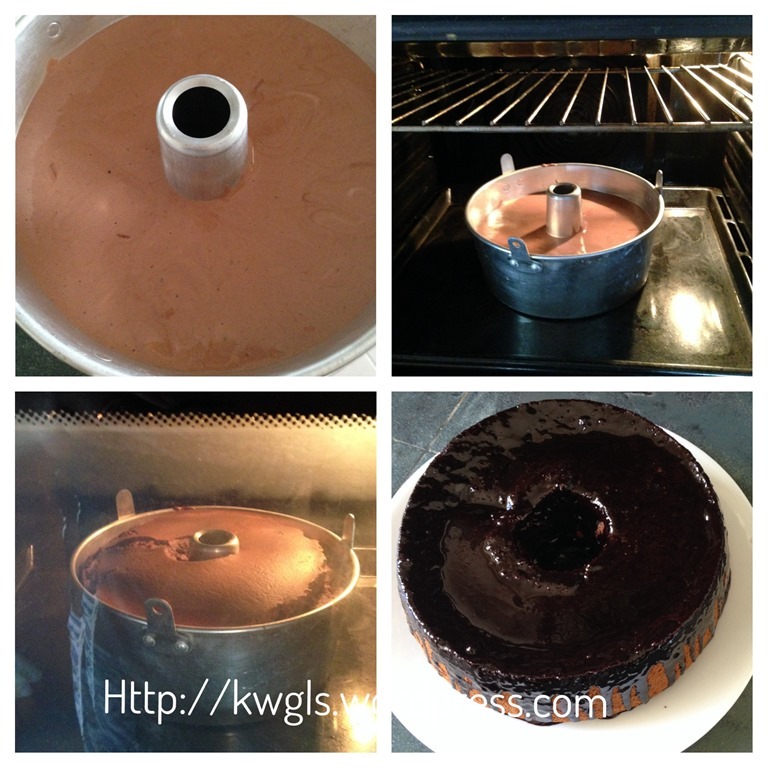 Transfer the batter to the ungreased chiffon cake tin and baked in the oven at 175 degree Celsius for 45-50 minutes or when a skewer inserted comes out clean. In the event that the top starts to turn brown too soon, you can lower the temperature to 160 degree Celsius and continue the baking. Once ready, take out from the oven, invert upside down over a wire rack and let it cool completely. 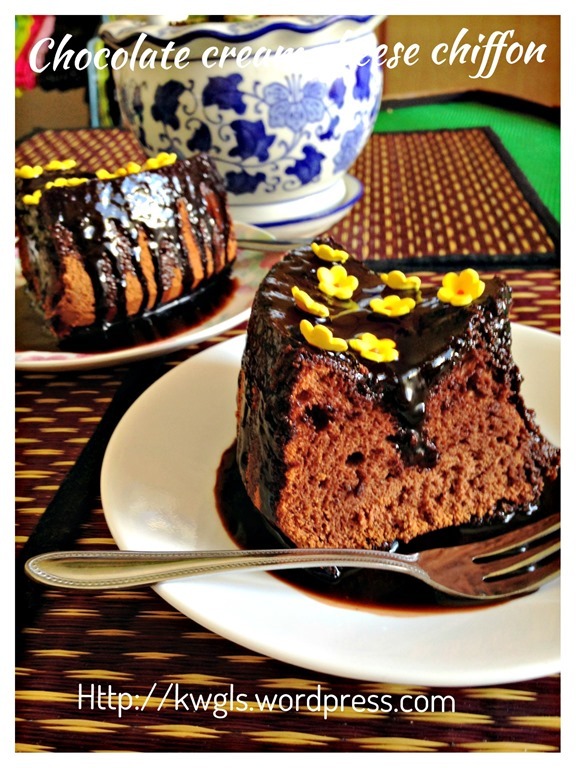 To unmould, use a sharp knife to scrap the sides or use hands to slightly “peel” the chiffon cake. A successful and properly baked chiffon cake should be spongy enough for you to “peel” from the tin without breaking the cake. Cut using a serrated knife when completely cooled. Pardon me for the poor picture. Do give some confidence on this recipe. This is a rather moist chiffon and I am sure you will like it if you give it a chance. When time permits, I will prepare another cream cheese chocolate chiffon and I will have a separate section of photo taking. 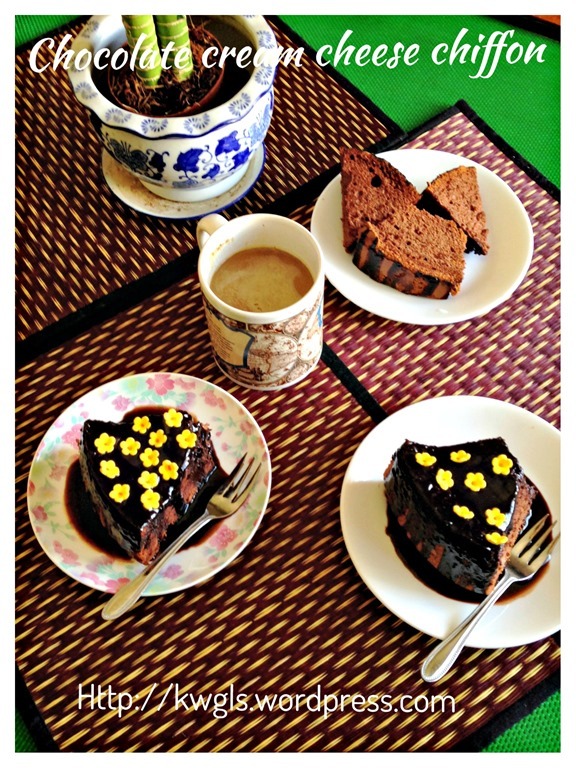 You can also join the FOOD BLOGGERS AND FOODIES UNITED FACEBOOK GROUP to see more recipes. 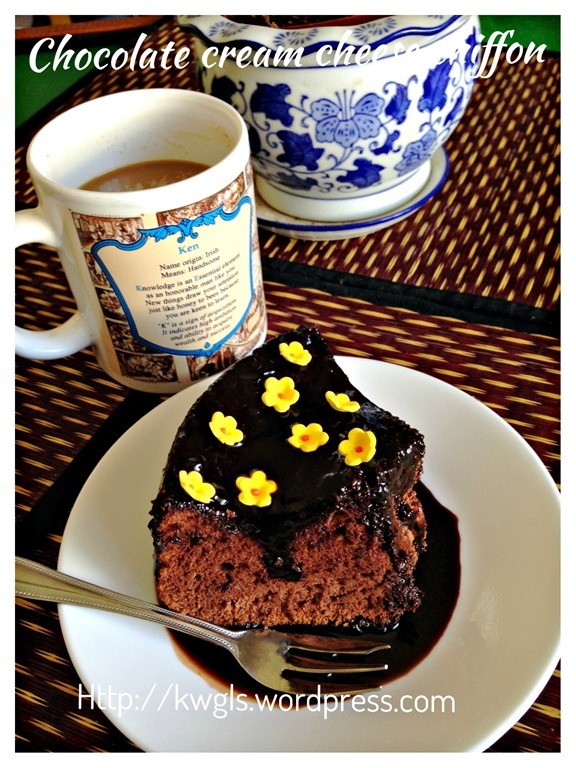 Currently there are about 10,000 members sharing various food photos . I am posting my daily home cooked food in the above Facebook Group daily. I would be more than happy if you can post in the Group for the recipes that you tried from my blog. 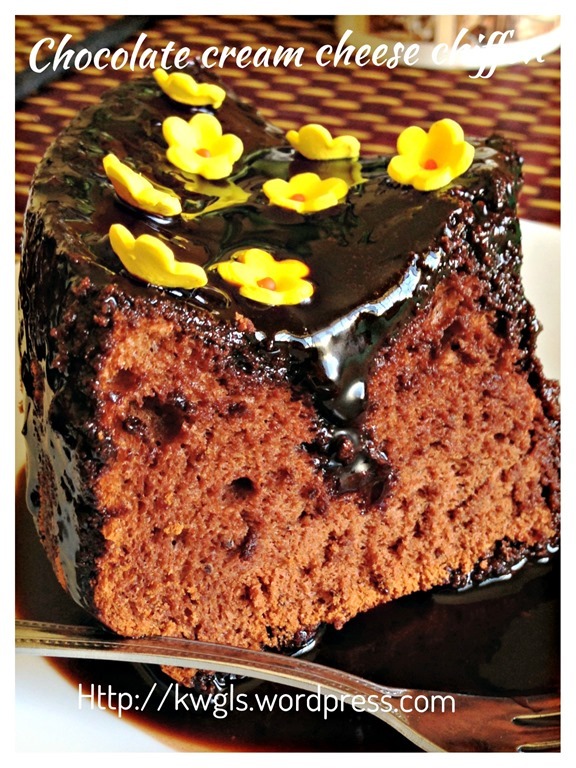 This entry was posted in Cakes and cookies, Food Preparation Series and tagged 8, chocolate cream cheese chiffon, cream cheese chiffon, GUAI SHU SHU, Guaishushu, kenneth goh, postaday, 巧克力奶酪戚风蛋糕，. Bookmark the permalink. Not sure why the cake that I made wouldn’t rise. Is it because I used the aerating mode on the electric mixer instead of beating to beat the egg white? I am unsure, but generally not rising means that egg white have deflated. Possible that the folding and the beating of egg whites have problems. I have never heard of aerating mode of standing mixer. Was it also because I used the chilled eggs there were taken straight out of the fridge? Was it because I used chilled eggs that were taken straight out of the fridge? This wasn’t my first attempt. It was the 5th one (I believe) that I made. The 1st cake that I made surprisingly turned out pretty well and considerably successful. I shall keep trying. Thanks Kenneth!